Very compact, powerful and robust fan less embedded system FlexRunner 3435 provides low power consumption, which is optimized for cost and size sensitive compute applications. Modern interfaces as well as its very small mechanical design well suit it for compact applications, such as Factory Automation Applications, Facility Monitoring and Communication Applications (e.g. Firewall system). The Intel® Celeron™ (4 cores at 2.0GHz) combined with 2GB high speed DDR3L memory brings high performance with low power consumption, ideal for compact demanding industrial applications. The on-processor graphic unit supports 1x VGA port and delivers power efficiency and high definition graphics. On chip GPU also delivers graphics performance significantly faster than the previous generation making it the ideal centerpiece to power hungry graphical and image processing applications. 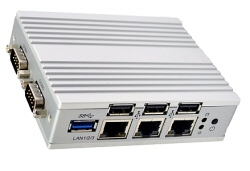 The connectivity includes 3x Intel® GbE LAN ports, 2x COM ports, 3x USB 2.0. 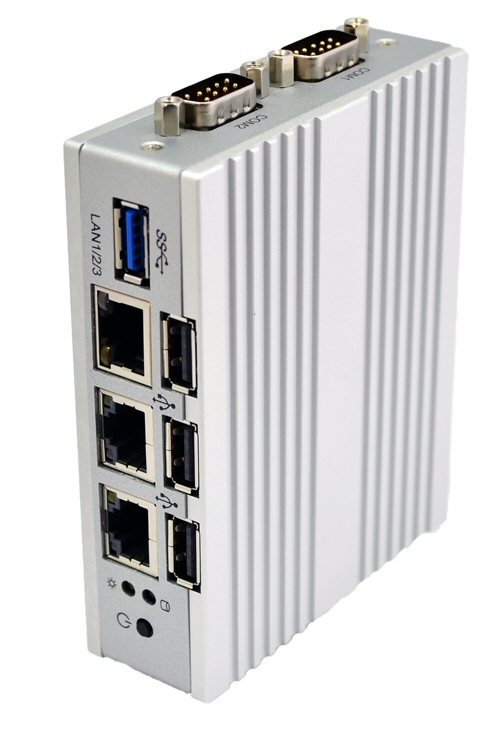 One integrated Mini-PCIe slot can accommodate WLAN, 3G/4G-Modem or mSATA card and 1x M.2 slot can be used for mass storage. 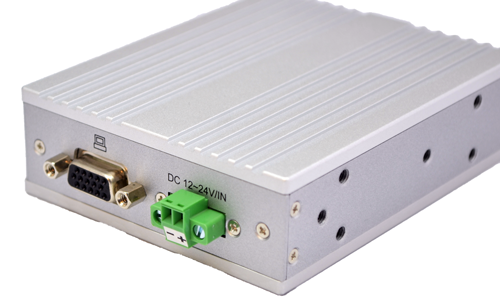 12-24V DC input power supply, wide temperature operating range and ruggedized compact aluminium housing recommend it for deploying in harsh industrial environments.